Homanit is set to invest 100 mln euros and create 440 new jobs in the first three years of operation. 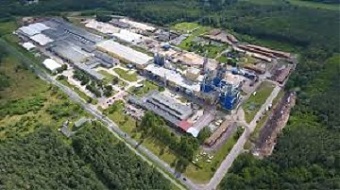 "The company explains its decision to build a production plant in Lithuania by the growing demand from local manufacturers, which Homanit already supplies from two plants in Poland," the government's investment promotion agency said. "Lithuania, as well as Poland, are major suppliers for IKEA. In the next two years, the Lithuanian furniture cluster expects new investments of over 300 million euros," it quoted Homanit Lietuva CEO Andrius Ostrauskas as saying. "Transport costs from Poland have been taking their toll on the bottom line of the manufacturers, and our strategically placed new plant will solve this issue," the CEO said. "Half of the production will be dedicated to satisfying the demand of local manufacturers, while the other half will be supplied to clients in places as far away as North America and the Far East," he added. In the fall of 2017, Homanit signed a letter of intent to purchase Grigeo Baltwood, with plans to invest 65 mln euros in Grigeo's subsidiary. However, the Germans abandoned the project in February 2018, saying Grigeo Baltwood's grounds were insufficient to meet their expansion needs. The Homanit Group's first-half revenue rose by 11% last year compared with 2017 to 143.3 mln euros. Its net profit plunged to 1.6 mln euros.